Tropicana Casino in Atlantic City has partnered with the iconic brand to bring VirginCasino.com to players in New Jersey; it is operated by Gamesys Ltd, which acquired the Virgin Games brand in January 2013. In business since 2001, the UK online gaming veteran Gamesys, also operates the TropicanaCasino.com site in New Jersey. The Online Casino was among seventeen of those to be initially granted licensing approval by the New Jersey Division of Gaming Enforcement (DGE) in November of last year, and VirginCasino.com finally went live on Friday, January 24th, 2014, almost a month later than many of its competitors. Anyone over the age of 21 who is a resident or a visitor to the State of New Jersey may register an account with VirginCasino.com, and play their real-money games. In many ways, VirginCasino.com resembles that of its sister site, TropicanaCasino.com, and in parts, they are virtually a carbon copy of each other. 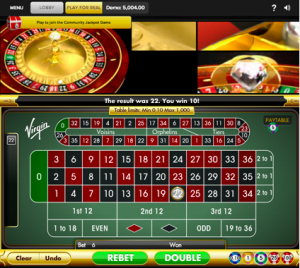 A browser-based site compatible with both Macs and PCs, Virgin’s online casino features a highly visual, intuitive interface, responsive controls and smooth transitions. As soon as you log on to VirginCasino.com you will recognize the bright swathe of red and white, reflective of the Virgin brand. That familiarity alone should instill some sense of credibility and trust. The fact that all of New Jersey’s online gaming sites must comply to a strict set of regulations and guidelines that provide various means of protection and security for players, will give you another layer of comfort should you choose to register an account with them, and to play any of their real-money games online. You will find just about a mirror-image of the game selection we found over at TropicanaCasino.com, with two fewer Slots titles available at VirginCasino.com – Gold Fish and Super Jackpot Party. The selection of casino games is the same as you would expect in a land-based casino on the Atlantic City Boardwalk, but with the added bonus of convenient access either from the comfort of your own home, or on-the-go, via Virgin’s mobile offering. All the standard popular games are there: a myriad of Slot games, Blackjack, Roulette, Baccarat, Keno, Video Poker, and even Pai Gow Poker. Cleopatra, Wolf Run, Cats, Kitty Glitter, Western Belles, Wild Wolf, Secrets of the Phoenix, Wonderland, Tiki Island, Grand Monarch, Monopoly Plus, Queen of the Wild, Double Diamond, Da Vinci Diamonds, Zeus III, Elvis – The King Lives, Battleship, Treasures of Troy, Frederic Vs Francois – In it for the Monet!, Lovely Outlaws, Golden Goddess, Monopoly – Dream Life, Reel’em In! Big Bass Bucks, Golden Knight, The Amulet and the Charm, Jin’s Jungle, The Mighty Atlas, Invaders from the Planet Moolah, Siberian Storm, Star Trek, Fortune Temple, Shadow of the Panther, The Vanishing Act, Day of the Dead, Nuts & Bolts, Jaguar Princess, Spinning Dragons, Dangerous Beauty, Wonders of the Deep, The Dream, Ghostbusters, Sirens, Jalapeno Racers, Diamond Bonanza, and Treasures from the Gods. There is also a decent portfolio of traditional table and card games on offer, including Blackjack in three popular variants of Atlantic City, Single Deck and Multihand Blackjack, plus Single Zero Roulette, and Single Zero Roulette High Stakes. If you prefer Video Poker, you will be able to choose from four IGT “Game King” titles, such as Jacks or Better, Bonus Poker, Double Bonus Poker, and Double Double Bonus Poker. They even have a few less common casino style games, including Baccarat, Hi-Lo, Pai-Gow Poker and Fortune Teller Keno. Over all, you will have the choice of 58 online games at VirginCasino.com, which is significantly less than many of the other online casinos operating in New Jersey. For example, BorgataCasino.com offers 83, CaesarsCasino.com has 80, and Betfair has 66. However, despite a more limited choice here, as least a number of the Slots are proprietary titles from developer Gamesys and they do at least provide a number of table and card games other than Roulette and Blackjack. In fact, many of VirginCasino.com’s roster of games can only be found elsewhere in New Jersey on sister site TropicanaCasino.com. 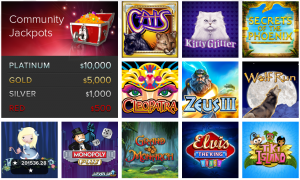 VirginCasino.com offers Slot games from two excellent sources: IGT and Gamesys. At the time of this writing, VirginCasino.com offers 45 different Slot titles, which is significantly more than they launched with in January. If we take this an indicator of their commitment to excellence and maintaining the Virgin brand as a market leader, we can assume that Virgin will continue to expand and improve on their current suite of Slots and Table Games. If you’re new to VirginCasino.com, it’s easy to get started, because you don’t even need to download any software to access the games. You will be happy to see that Virgin is completely web-based. So, just go to the site using your preferred browser, and you’ll be up and playing your game of choice quickly, plus you won’t tie up precious real estate on your computer’s hard drive. Although non-download sites often lack the same sort of intricacies that a downloadable portal does, you’ll find that this New Jersey online casino is a pretty solid mix of style and substance. You will also find it easy to navigate without too much unnecessary fluff. 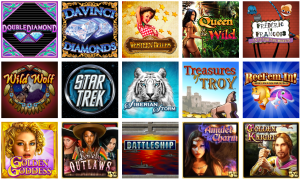 Many of the games from IGT will be quite familiar to Slot fans. Names like Cleopatra, Siberian Storm, and Wolf Run are staples on many live casino floors, and you’ll find them here too, along with some licensed brands like Monopoly Plus, Ghostbusters, and Star Trek. These IGT games can actually be found at several of the online casinos in New Jersey, and players pretty much know what to expect of them. The graphics and sound are always first rate, and that makes for a very enjoyable experience. Once you wander away from these well-known titles, into the proprietary Slot games from Gamesys, Virgin (and TropicanaCasino.com) begins to stand out from the pack. The Gamesys Slots available are interesting and well executed. We expect that you will also find a few titles amongst them that you are probably not acquainted with yet. Check out games like Secrets of the Phoenix, Tiki Island, and Wonderland. Each is a well-crafted game with innovative bonus features. 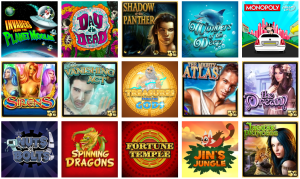 They also offer a number of new games from High 5 Games, including Shadow of the Panther, Dangerous Beauty, Jaguar Princess, Sirens, The Dream, and The Vanishing Act, all available for real-money play. Now, we’ll guide you through just a few of the dozens of different Slots that are waiting for you should you decide to join up and register as a new player at VirginCasino.com. If you’ve ever spent time playing this popular land-based Slot game, you’ll be happy to know that this online version has been revamped and enhanced to work seamlessly on an online casino gambling platforms, and to offer an impressive range of winning payouts all listed on its paytable. 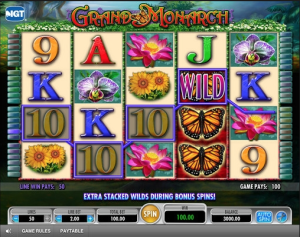 Grand Monarch – This is a world-renowned Slot game that’s a fan favorite in land-based casinos around the globe. This blockbuster game will provide you with Stacked Wilds that will send winning fluttering into your account. 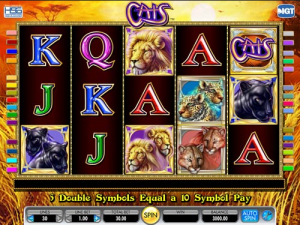 You will find many Slot games that appear at many of the other online casinos operating in New Jersey, such as Cleopatra, Siberian Storm, Kitty Glitter, Ghostbusters, Monopoly Plus, Star Trek, and Wolf Run, as well as several of the same High 5 Games titles that you’ll also find online at CaesarsCasino.com, and VirginCasino.com, such as The Vanishing Act, Sirens, The Dream, Shadow Panther, Dangerous Beauty, and Jaguar Princess. Zeus III – The God of Thunder has descended from Mount Olympus and he’s taking on all challengers. 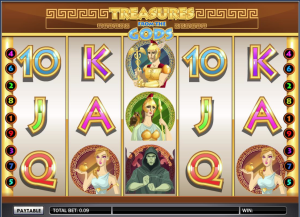 This mythological Slot has arrived exclusively in New Jersey at TropicanaCasino.com. It features 5-reels and 30 paylines, with Wilds, Scatters, and a powerful free spin feature befitting this Greek God that has the ability to re-trigger the free spins and award up to 100 more spins. 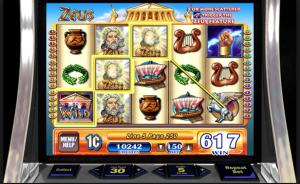 Challenge the mighty Zeus and you could turn the sands of time into some cool cash. There are two Progressive Jackpot Slots available at VirginCasino.com, which are identical to those on offer at TropicanaCasino.com. The pair of Progressive Jackpot Slots you can play are Wonderland, and Diamond Bonanza, plus all of Virgin’s Slots share a four-tiered Community Jackpot – more on how this unique Jackpot works later. Wonderland – Slide down the rabbit hole, and be entertained by this 5-reel 100 payline Slot game, featuring 2 Progressive Jackpots and 4 Bonus games. Based on one of the best-loved stories of all time, Alice in Wonderland, this Slot game will have you mixing with the classic storybook’s iconic characters, including the Mad Hatter and the White Rabbit, and the Queen of Hearts. You may bet from as little as $1.00 up to $500. In the main game, WILD substitutes for all symbols except bonus symbols. The Progressive Jackpot can be won during any of the Bonus games, awarded at the end of the bonus round. 5 Scatters or more pays 20 times. 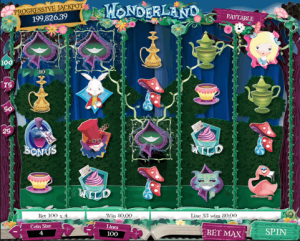 Wonderland is a double progressive game, which means it offers you a chance to play for their choice of two jackpots. If you want a little more detail on these Bonus Games, you will find it in our TropicanaCasino.com write up, which you will find online HERE. While the Wonderland Progressive Jackpot hasn’t yet hit at VirginCasino.com, a TropicanaCasino.com player claimed the smaller of the two jackpots on July 16, 2014, winning $85,191.81. Perhaps you could be Virgin’s first online customer to scoop the riches, and with the current Jackpot sitting at over $200,000 (at Sept. 19, 2014), that’s a pretty decent chunk of life-changing money to be had. If you’re looking to win big playing Slots, you’ll want to win a big money Jackpot. 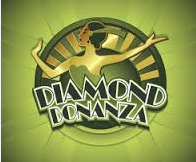 A certain percentage of every $1 you bet playing Diamond Bonanza goes into the Jackpot pool. That Jackpot pool will continue to get bigger until someone wins it, and it can also be mind-blowing 6-figure amounts. This is a beautiful roaring 1920s diamond themed classic Slot, evoking the Great Gatsby era, mixing traditional Art Deco graphics with 5 simple paylines, along with the chance to be dazzled by a giant Progressive Jackpot that can hit at any moment, and that doesn’t even require that you play a Bonus Game to win it…it’s all down to landing the right symbols. Basically, get 5 glimmering white diamonds across the reels at the maximum bet and you’ll bag the Progressive Jackpot. 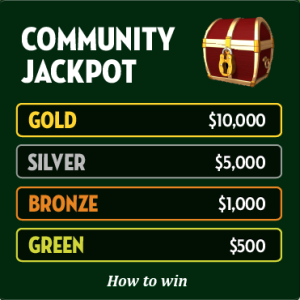 If you’re still hungry for more Jackpot action, VirginCasino.com has you covered with the $10,000 you can earn on the Community Jackpot, which can be won at any time, on any bet, on any game. Virgin may have delayed their initial debut in New Jersey, launching a couple of month’s behind their main competitors, but they’re now making up for lost time with a flashy approach one would only expect from Virgin’s founder, billionaire Richard Branson. It’s offering the popular Community Jackpot, which rewards all players with a bit of money every time someone wins a jackpot. These Community Jackpots are Virgin’s way of promoting camaraderie (and spreading wealth) among their online gambling community. Should anyone be fortunate enough to hit a jackpot, anyone that played for real-money within the hour prior will receive a piece of up to $20,000 in cash. VirginCasino.com promises up to $16,500 in jackpots and $36,000 in prizes. Terms and Conditions— If your key unlocks the Jackpot, you are eligible to win the grand prize of up to $10,000.00. If other patrons are playing on the site within the hour before the key unlocks the Jackpot, all players including you (as the person who unlocked the Jackpot), will win a share of the prize. The share received depends on the amount of money bet during the hour of play. If the key does not unlock the treasure chest, no one will win the grand prize. While Slots players are fairly well catered for at VirginCasino.com, those of you who gravitate more towards Table Games have fewer choices. The casino offers only six types of table games: Blackjack, Roulette, Baccarat, Hi-Lo, Pai Gow Poker, and Keno (not technically a table game, but we’ll count it here anyway!). If you’re the type of modern gamer seeking out the more exotic casino games like Mississippi Stud, Let it Ride, and Three Card Poker, then you might be a little disappointed initially by what you see in VirginCasino.com’s games portfolio. However, while the choices are somewhat limited, we have to give credit where it’s due, and Virgin’s implementation of the games they do have is excellent. The software from Gamesys will give you plenty to like about it. 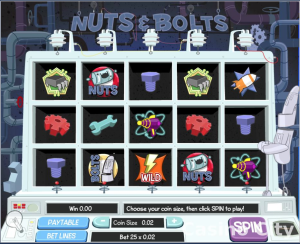 The games feature nice animations and accompanying audio, plus there are several useful button choices: “Repeat and Deal”, “Double and Deal”, and “Let Em Ride” to parlay your winnings. 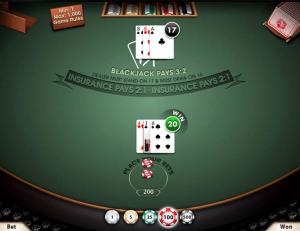 One feature that you will definitely appreciate is the “In Play” indication in Blackjack, which clearly shows the hand that is currently being played. Some competing software makes this less obvious, which can lead to errors when you play Split hands or on multi-hand tables. The “In Play” feature means you won’t have that problem at Virgin, allowing you to just relax and enjoy your gameplay. For Blackjack, Virgin offers three versions, with bets from $1 to $1000. Single Deck Blackjack: This is the highest return game at 99.74%. 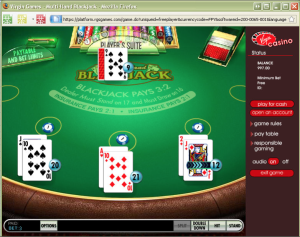 Single Deck Blackjack pays 3-2 on all natural Blackjacks. General Rules: 1 Deck, Dealer Stands on All 17s, No Dealer Hole Card, Double on 9,10,11 only, No Double After Split, Split only once, No Surrender. Atlantic City Blackjack: This is also a good game, with a return of 99.64%. General Rules: 8 Decks, Dealer Stands on All 17s, Dealer Does Take a Hole Card, Double Any 2 Cards, Double After Split, Split up to three times, Late Surrender. General Rules: 5 Decks, Dealer Stands on All 17s, No Dealer Hole Card, Double on 9,10,11 Only, No Double After Split, Split only once, No Surrender. There are two Roulette versions at VirginCasino.com, which both feature a single zero wheel. They are basically the same game, but one gives you the option of kicking things up a notch and living out any of your high roller dreams at the table. The single zero feature is good, as that means the return to player percentage is slightly higher than in double zero Roulette variations. The betting limits are $0.10 to $1000 on the regular version, and $10 to $4,000 in Single Zero Roulette High Stakes. Single Zero Roulette – This game offers just one zero and French side bets, but it is not dealt European style. Visually, this is also enjoyable to play, as it features some nice 3D graphics, creating more of a live atmosphere for you than many other online Roulette variations. It not only offers you all the standard Roulette bets, but also the racetrack bet options which open up a new avenue of bet options. The three different French sidebets of “Voisins”, “Tiers”, and “Orphelins” are also available. One point to keep in mind is that you’ll be refunded half your outside bet stake if ‘0’ is returned on the wheel. There are countless betting strategies for Roulette, probably the most popular of which involves doubling your bets when you lose. It’s good to be aware of them before you sit down to invest any of your hard earned money, but take them with a grain of salt, as none of them are ‘a sure thing’. If you are new to the game it’s probably best to start with some nice easy outside bets (red/black or even/odd), and as you start to get some confidence up, you can progress to placing some smaller ones on whatever you feel is lucky on the board. This should give you relatively consistent wins as well as the rush of seeing your chosen inside numbers hit once in a while. 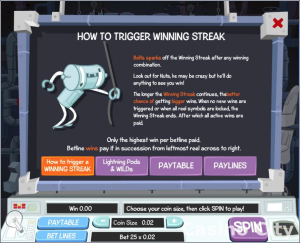 Single Zero Roulette High Stakes – High rollers, come on down! This is exactly the same as the low stakes version of Single Zero Roulette, except with the ability to place higher bet limits. The minimum bet is $10, with a maximum bet of $4,000. There are four non-traditional Table Games available at Virgin’s online casino: Baccarat, Hi-Lo, Pai Gow Poker, and Keno. Baccarat – This is a traditional Casino game based on the Punto Banco/North American version of Baccarat. The challenge is to bet on the outcome of a game between the Player and the Banker – the hand that’s closest to 9 wins. It’s an easy game to learn quickly that simply requires you bet on the outcome of each hand by placing chips on the applicable zone on the table (“Player”, “Tie” or “Banker”). Hands in Baccarat are scored by adding the value of the cards in the hand. Numerical cards score their value, Ace scores as 1 and Face cards score 0. Hands are scored “modulo 10” – this means that if a hand adds up to more than 10 the tens digit is ignored so that the value always falls between 0 and 9 inclusive. So, 17 is 7, 18 is 8. This also means that 10 and 20 count as 0. This game features six standard decks of 52 cards, which are shuffled between hands. The table limit (maximum bet per hand) is $1000 ($200 for a tie bet), and the minimum bet is $1.00. Pai Gow Poker – This Far East version of Poker has traveled all the way from the Song Dynasty of 1120 AD, and is based on traditional Chinese dominoes. With a top payout of $50,000 and two hands to play with, beating the dealer has never been so exciting. Pai Gow is played with a 53-card deck. This is made up of the standard 52-card deck and an extra Joker card. The Joker can only be used to complete a Straight, Flush, Straight Flush or Royal Flush. Otherwise the Joker is treated as an Ace. You can also place a Bonus bet before the cards are dealt. The Bonus payout is determined by the seven card hand you’re originally dealt, before they’re split into your High Hand and Low Hand. If you hold a named poker hand, the win is displayed in a banner with the winning combination and the payout odds. Your payout is displayed in the Win box at the end of the game. Hi Lo – You are going to find a very easy to play casino card game on offer at the online Tropicana Casino site, and this game is their rather basic structure Hi Lo game, as the name of this game suggests you simply have to predict whether the next card in the playing sequence is going to be a higher one or a lower one that the last card in the series and if you guess correctly you will win! The minimum bet here is $0.20, while the maximum bet is $250. The Return To Player (RTP) is 96.21%. Fortune Teller Keno – This is an easy game to play, and perfect when you don’t want to play anything too complicated. It’s similar to any Lotto you might have participated in before. You pick numbers, and if they match the ones that come out in the random draw, you win! It’s as simple as that, but with a 10,000 multiplier and the chance to play in as many instant draws as you want. Just pick lucky numbers, then sit back and see what happens. The minimum bet is $0.20, with a maximum bet of $5.00. These games are exactly like the ones you will see in land-based casinos, and he bet denominations range from $0.25 up to $10.00. 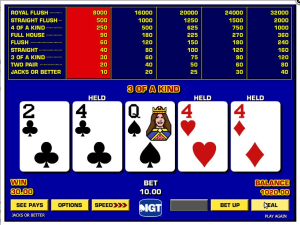 The four Video Poker titles available all happen to be slightly different variations of Jacks or Better. There’s nothing unique about the VirginCasino.com’s choice of Video Poker. The Signup Bonus promotion at Virgin’s Online Casino is different than most of their competitors. The bonus is a loss rebate of up to $100. So, you play with your own money, and if you lose $100, they will refund it, so you can try again. They don’t currently offer a No Deposit Bonus, but with a minimum deposit of $10 and placing your first wager, if you hit a losing streak right out of the gates, they will cover your net losses up to $100 Cash Back on the value of your first deposit. During the 7-Day Period (that kicks in immediately following your first deposit and first wager) your Net Loss is equal to your Total Wager minus your Total Winnings. A Net Loss must be greater than $0. “Total Wager” is defined to include wagering of both cash and Bonus Money. “Total Winnings” is defined to include all cash won by you from your wagering activity of cash and/or Bonus Money during the 7-Day Period, as well as any cash and/or Bonus Money credited to your account from any promotion or activity prior to and during the 7-Day Period. It’s still a valuable way to take a free shot at the casino. If you want all the details on how it works, check the VirginCasino.com Promotions page on the website. While you may end up losing your initial deposit, you could manage to turn the $100 rebate into more than your initial deposit, which you can actually withdraw for cash (certain rules apply). This offer is available to new patrons only until January 5th, 2015. Expect Virgin to replace the Cash Back promotion with another equally competitive Welcome Bonus after this one expires. VirginCasino.com offers players the chance to collect and win with their Daily Free games, in the same way as TropicanaCasino.com. Just play Tiki’s Catch of the Day or Search for the Phoenix every day of the month for a chance to win free spins. On each day that you play, you’ll collect a special egg. Come back on the last day of the month to open your shells and see what you’ve won. Don’t forget, the more days you play, the better your chances will be at winning something big. You can start out at Virgin Casino playing the free daily games, and then move onto depositing and taking real money for a spin. You can actually win decent money in these free daily games, so do yourself a favor and give them a try. You will also discover a range of other innovative player promotions at VirginCasino.com, including their Game Day Ticket Giveaway, Monday Night Touchdown Sharepot, and the Monthly Kickback. Some of these are short-term offers, so always check the terms and conditions on the VirginCasino.com website for full details. One of the most important aspects of playing at an Online Casino is the feeling like you are an important customer, and that you receive the most value possible. If it’s one thing that you’re probably looking for from all the operators in New Jersey is free giveaways. We know that these, along with an attractive Loyalty Program can compel you to make an initial deposit, and it can even make you stick around and keep playing for longer. It can also turn you into a repeat customer because you won’t want to miss out on the next big promo. Every time you play online at VirginCasino.com, you will be racking up Bonus Money with V*Points. You may convert V*Points into Bonus Money as well. Earn one V*Point for every $40 you wager on Slots and $100 wagered on all other games. Each V*Point is worth $.01. Players must have at least 20 V*Points ($.20) before being able to convert them into Bonus Money. Sure it’s FREE MONEY but you still have to earn it! While creating an account on some New Jersey sites requires you to jump through various hoops, signing up for Virgin’s online casino is a virtual breeze. Virgin makes the absolute most out of what it has to work with in terms of funding your account, which translates into a relatively headache free depositing process. As a Virgin Casino player, you may deposit cash at the Tropicana Casino Cage, or by Visa, Mastercard, e-Check, Online Bank Transfer, Neteller, Skrill, and PayNearMe. ACH (Instant e-Checks) – Easily the fastest and most hassle-free cashiering method available at VirginCasino.com is Instant e-Checks (ACH). Provide your bank routing number and account number (printed at the bottom of your Personal checks) and make instant deposits to fund your VirginCasino.com online gaming account. Online Bank Transfer – You can now fund your VirginCasino.com account using your online banking details. Online bank transfer is one of the most safe and secure ways to make instant deposits from your bank account without sharing your banking details. Your online banking account must be enrolled in Bill Pay for this option. Visa and MasterCard – Credit card payments are also available, but some transactions may be rejected from certain banks, namely Bank of America, Wells Fargo, American Express and PayPal. Do note, that this is due to the issuing bank’s policies and is not a reflection of Virgin’s limitations. Skrill/Moneybookers – The Skrill payment system offers an online deposit account (e-wallet) to load funds via a variety of methods, credit cards included. It’s a low-cost, internet-based alternative to traditional money transfer methods. PayNearMe – A cash deposit option that is available at 7-Eleven stores, and with more locations coming soon. It is a bit similar to Western Union in that players can fund their Virgin account by visiting a live location, in this case 7-Eleven. Admittedly, there is an extra step involved here, but if all else fails, PayNearMe is a decent enough fallback. Cash at the Casino Cage – You can fund your account with cash at the Cashier Cage at the Tropicana Casino and Resort, on the Boardwalk at Atlantic City. You must quote your Virgin Internet account username and email address with all cash deposit transactions at the Cashier Cage. All approved cash deposits will be made available in your Internet account with immediate effect. Withdrawals are also surprisingly fast at VirginCasino.com, who are working with some of the best ecommerce firms worldwide so that they can offer you the easiest and most convenient transactions for your money transfers. You may cashout at the Tropicana Cage, personal Check, ACH (Instant e-Check/Bank Transfer) and Skrill/Moneybookers. If you deposited via ACH bank transfer you can withdraw via ACH, Check, or at the Cage in a Tropicana Casino. The Cage is open 24/7 for withdrawals, but you must remember to take photo ID (E.g. Driver’s License) to verify your identity. If you have deposited by Skrill/Moneybookers, you are only able to withdraw money back to your Skrill/Moneybookers account. It is not possible to withdraw via Credit Card, so if you have deposited via a Debit or Card, then you will need to withdraw via ACH bank transfer, Check (minimum $20), or via the Cage in a Tropicana Casino. VirginCasino.com satisfies on several levels when it comes to security and safety. 1. Trust and reputation – The amount of countries and industries in which Virgin is a market leader is astounding. Richard Branson has a multi-billion dollar brand and reputation to protect. We think it’s fair to say that if his brand is on a New Jersey online casino, it can be trusted and is reputable. 2. Personal security – Virgin takes the protection of your personal information very seriously, and like sister site TropicanaCasino.com, they employ industry-standard practices to safeguard your account details. This means that they have a two-step login process to access your account. Step 2: You are required to enter in a four-digit code, sent via SMS, every time you login. Given the enhanced security SMS affords, this should be viewed as a minor inconvenience. Just remember to keep your phone handy when logging on—the code is only valid for three minutes. 3. Virgin offers a range of tools on the site for you to manage your spending and session time to ensure your gaming remains a source of entertainment and fun, and never spirals out of control. The Responsible Gaming policies at VirginCasino.com are in part in place because of the requirements set forth by the New Jersey Division of Gaming Enforcement, but the company also want to ensure that you bet only what you can afford, because they know that you will enjoy your gameplay more if you remain in control. Deposit Limits – You can set daily, weekly or monthly limits on the amount you deposit into your online account. This can range from $10 to $10,000 and is available for you to manage your spending. Once you have met your limit, the system will not allow you to deposit any more until your limit resets. Gaming Session Limits – You can also set yourself a Gaming Session Limit so you can control the amount of time you want to play. The limit can range from 20 minutes to 120 minutes per day. Once you have met your limit, you can login to your account to manage it (such as deposits and withdrawals) however you will not be allowed to place wagers. Spending Limits – A Spending Limit allows you to limit the amount of your deposit funds that you can wager on the site. This can range from $20 to $5,000 and can help you manage your spending. Once you have met your limit, the system will not allow you to wager any more of your deposited funds until your limit resets. Account Cool Off – You can take a break from the site for between 72 hours and 4 weeks. During that time you won’t be able to log in to your online account. New Jersey Casino Gambling Self-Exclusion Program – You may request to voluntarily exclude access to your online account by signing up for the New Jersey Casino Gambling Self-Exclusion Program. You can elect to self-exclude for 1 to 5 years. Overall, there are several online casinos for New Jersey players to choose from. With the strict regulation from the Division of Gaming Enforcement (DGE), all can essentially be trusted. What’s most important though, is your experience as a player. Just as you would not want to walk into a land-based casino on the Boardwalk and have nothing but problems and poor service, the same goes for online. Branson is putting his name, brand, and reputation on the line at VirginCasino.com, and we guarantee that the crew at Tropicana and Gamesys are implicitly aware of the benchmark they need to meet, and actually exceed when it comes to the VirginCasino.com customer experience and living up to expectations. The same ‘service excellence’ philosophy can be applied to the Virgin New Jersey iGaming business, in which many of the operators are offering very similar games selections. So, then it basically boils down to how you rate your individual experience at each of the various virtual New Jersey casinos, as to which becomes your favorite amongst them. If you’ve been thinking about playing for real money, Virgin is an Online Casino worth checking out. While it may lack the long-established gaming recognition that the mention of a Bally’s or Golden Nugget might evoke, the attitude of the Virgin brand and their attention to detail more than makes up being a relative newcomer to the online gambling space. With its user-friendly interface, comprehensive Slot games selection, inclusion of several non-traditional Table Games, competitive Signup Cash Back offer, their Community Jackpots, and other innovative player promotions (i.e. the ‘Play with a View’), it is no real surprise that VirginCasino.com is making waves and winning fans with online casino gamers. Add the Gamesys platform into the mix, and it’s safe for us to say that we expect great things from this New Jersey iGaming alliance.